Klayman: The Washington Examiner Has Been Moving Left in Lock Step With Fox News! 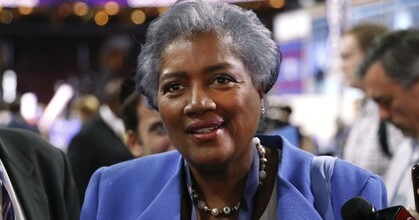 My colleague Becket Adams was right on target in saying that it was "shrewd" for Fox News to hire former Democratic National Committee Chairwoman Donna Brazile as a regular analyst. And she's wise to take the job, even if her best efforts still will not likely change any minds among Fox viewers. When Brazile said her goal was to engage conservative listeners while advocating liberal positions with "civility and respect," she wasn't just blowing smoke. Despite occasional lapses into partisan overenthusiasm — including her infamous leaking of debate questions to Hillary Clinton in 2016 — Brazile is indeed one of the few Washington partisans to be consistently engaging and cordial to those of differing political persuasions. As we say in my native Louisiana, Brazile is "good people." Allow, please, a personal anecdote. Late in the NFL season of 2009-10, the one that would crown the New Orleans Saints as Super Bowl champions, the Saints played the Redskins on an icy day at the D.C. area's FedEx Field. A group of Louisiana expatriates had all gotten the word to congregate at a particular tailgate party outside the stadium.